Measuring body temperature. 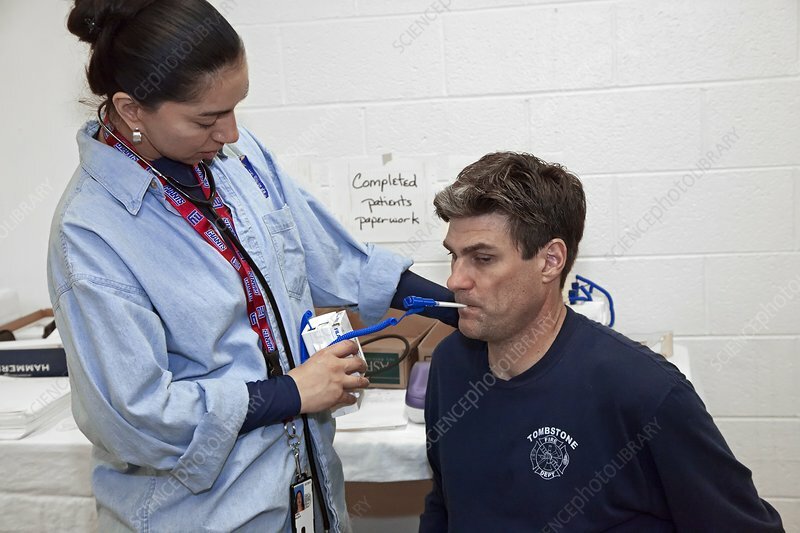 Volunteer nurse measuring a homeless veteran's blood pressure during a charity event. Photographed in Phoenix, Arizona, USA.